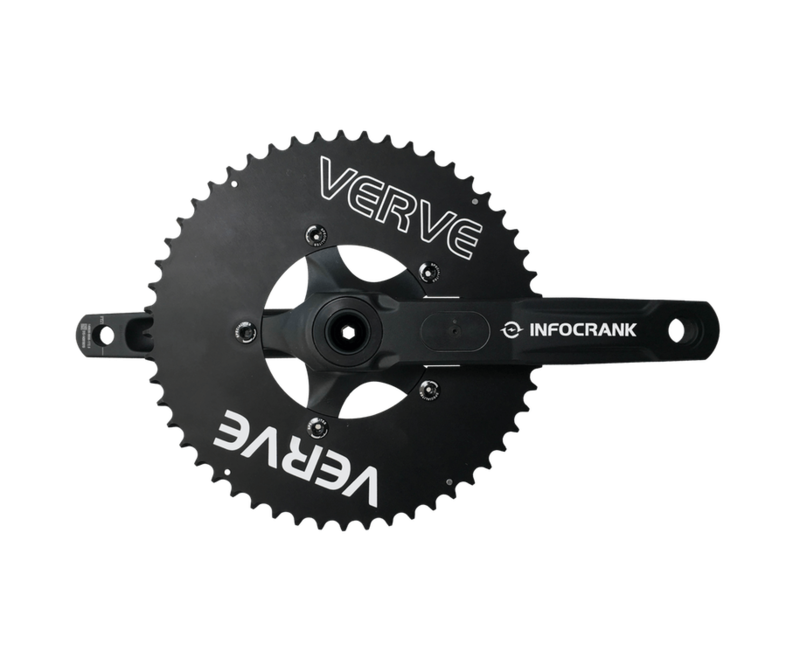 The Verve InfoCrank Aero Chainrings are designed by Specialities TA and are made specifically for the InfoCrank. 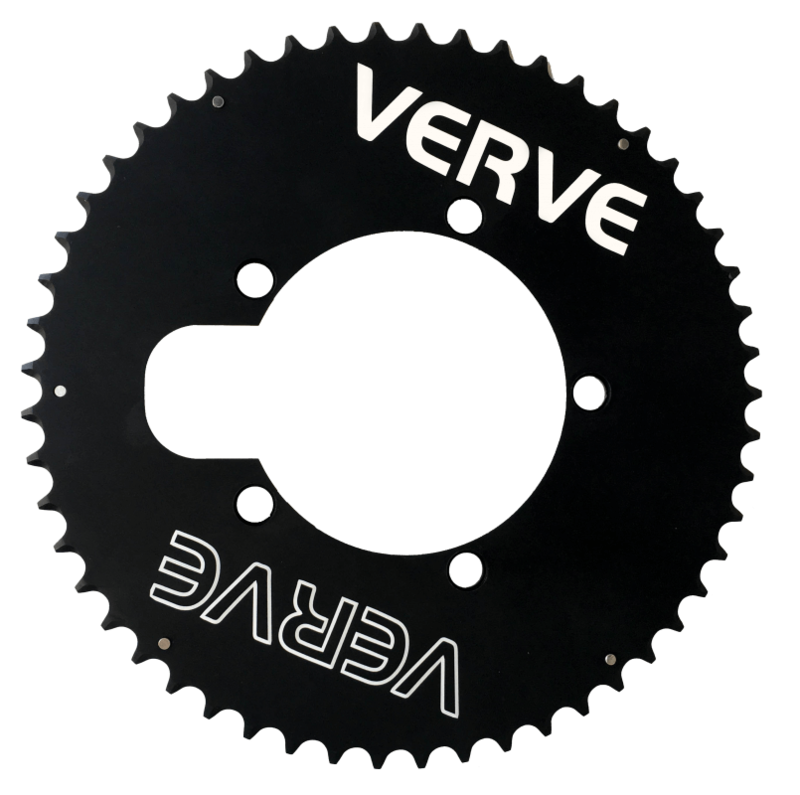 In addition to offering an aerodynamic benefit, the Verve Aero Chainrings are exceptionally stiff, which ensures accurate shifting and an efficient transfer of power through the crankset. The chainrings are available in a 110 BCD with 53/39 chainring combination.